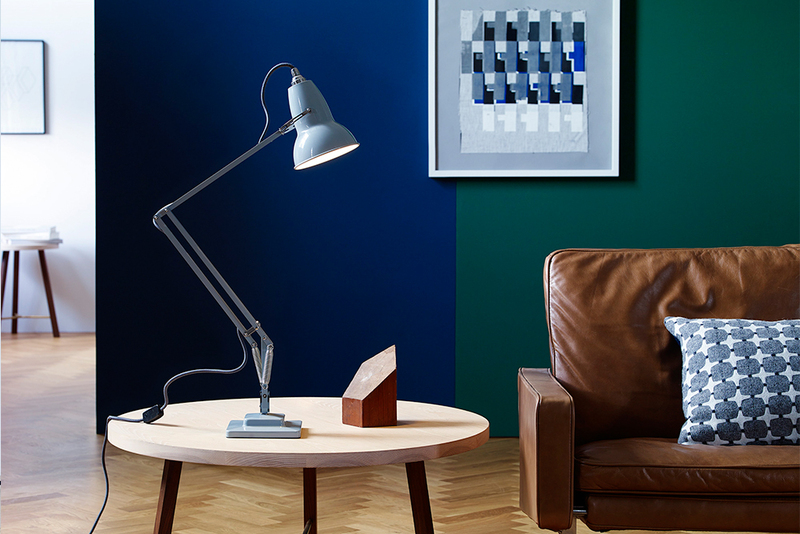 The iconic Anglepoise lamp has been an integral presence in the British home for over 75 years. Of all the designs featured in the Heal’s lighting collection, it is celebrated as one of the most iconic and recognisable designs. Anglepoise as we know it today was borne out of designer George Carwardine’s engineering career. At the time of the famed lamp’s conception, he was a specialist consulting on vehicle suspension systems. He chanced upon a type of spring with possible application in other areas. The spring was simple and unique; it could move in every direction whilst remaining firm. 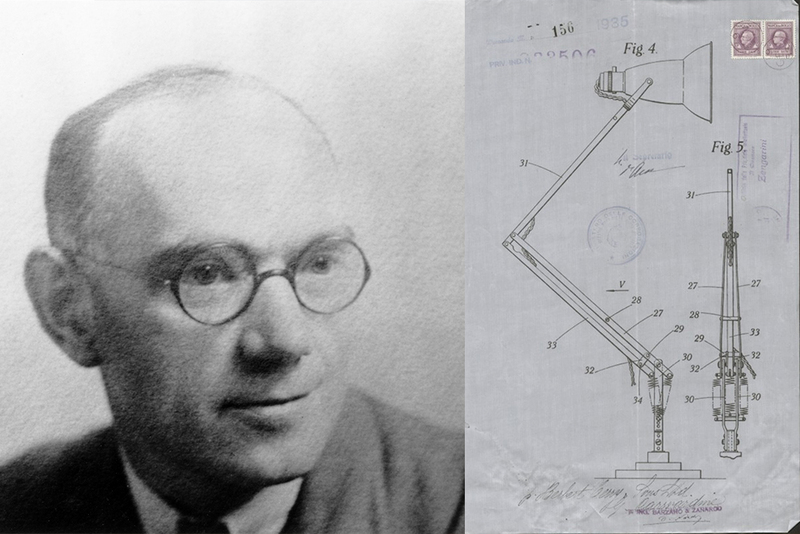 Soon after his discovery, Carwardine struck up a fruitful partnership with spring manufacturers Herbert Terry & Sons. By combining Terry’s ‘constant tension’ spring-work and Carwardine’s ingenious engineer’s eye, they developed an articulated task lamp with perfect balance that could move light in all directions. Their original name – the ‘Equipoise’ – was rejected by the Patent Office for being an existing word. So it was, in 1933, after a name change as deft as the product it was to herald, that the Anglepoise Desk Lamp arrived. Carwardine and Terry saw the potential of the Anglepoise for use in the home. Despite immediate popularity, however, the initial four-spring creation was too large and industrial for real success in a domestic market. The solution would be to simplify. Two years later, they created a three-spring iteration, the Original 1227, which was to become the much-loved icon that we know today. 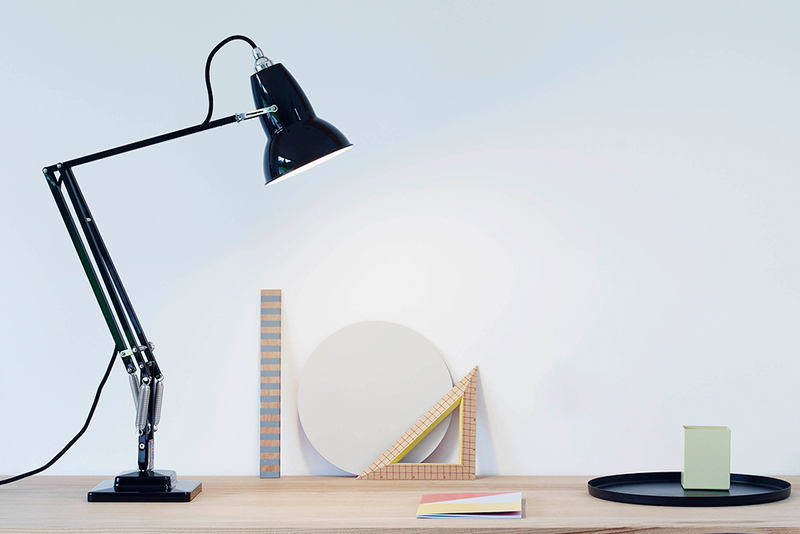 The Original 1227 Anglepoise desk lamp quickly became a ubiquitous household item. Practical and inventive, it provided greater flexibility in home lighting. The lamp’s design is defined by the three springs at its base, which keep it in place whichever way it’s moved. This distinctive aspect of the Anglepoise has been replicated many times, and has made the lamp a revolution in design. The lamp has seen various reincarnations at the hands of significant designers. 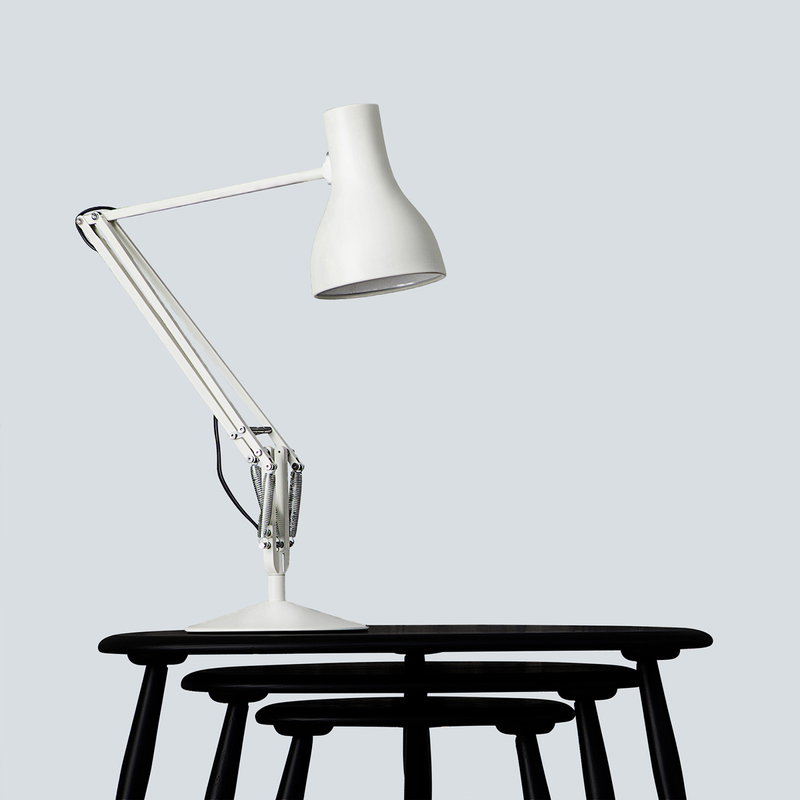 The Anglepoise Apex 90 – shade mounted with a push button switch and plastic arm joints – was released in the 1950’s. In 2004, Sir Kenneth Grange’s update resulted in the hugely popular Type 75 Desk Lamp, which retains the original constant-tension springs whilst modernising the shade and conical base. With increasing interest in mid-century design, the Anglepoise has found a new generation of admirers. More recently the brand released a collaboration with doyen of British design, Paul Smith. 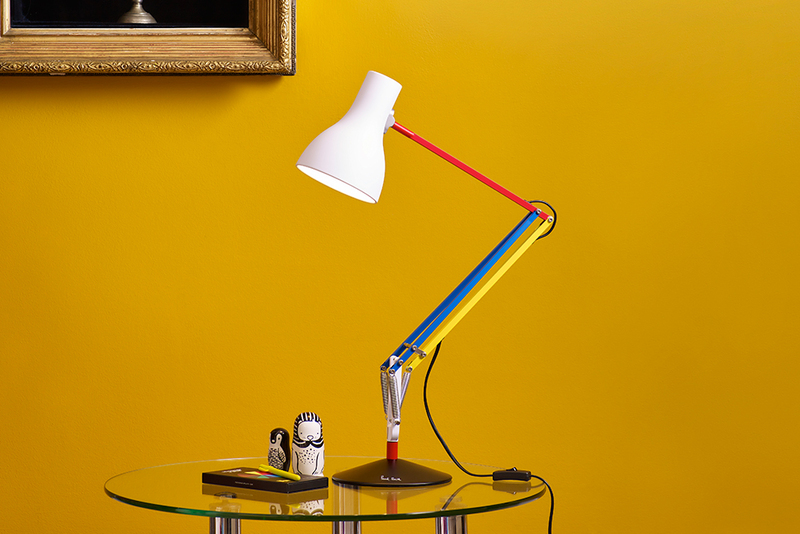 The Type 75 Desk Lamp (Edition Three), which uses Smith’s masterful eye for colour, is another invaluable addition to Anglepoise’s rich design lineage. As part of a mini collection release, this edition has been reimagined as the Original 1227 Mini Wall Light, bringing characteristic elegance and a smaller size to interior walls. Anglepoise celebrated its 75th anniversary in 2009. The lamp was featured on its own Royal Mail stamp to mark the occasion, cementing its status as a timeless icon of British design.